I'd like to get a new keyboard to replace my old logitech g510. I was looking a while back and ordered up the little mechanical key sample thing and will have to take another look at it to see what keys feel good to me. But I'd like to get a couple suggestions of keyboards to get me started, any ideas? What do you want to spend.? Mechanical or touch? Good for gaming and typing - plus you get 5 power function keys. The 2014 model is going for $74 to $78 on Amazon. the 2016 is about $106. I have had less expensive keyboards but they all crapped out after a short time. As for Logitech - over priced for what you get. One last thought - I hate wireless. The batteries always give out when you least expect it. I am sure I will catch flack for my wireless thoughts. LOL - that's the way it goes. Price isn't much of an issue, just want a good mechanical. The razer looks good, less macros than the g510 but more than I use. I like the full size number pad too. Wired is just fine as mine is wired now and not a problem. Even my g700 mouse is usually plugged in. I'll take a closer look at that Razer. Razer uses Chinese clones of Cherry switches. From what I've heard they aren't going to have the same lifespan as other brands. That claim has been debunked. It was started by competitors to slow down Razer sales. If needed I will go back and find the articles. In the past year I have spilled full cups of coffee twice into the keyboard. Both times I used a can of air to blow it out and it was still working. I have never had a keyboard do that before. Although the overall reviews are great, there are several recent that talk about problems and durability. This one might be an option for you. My Tarantula finally died on me a couple months back and luckily I had the Sentey Phoenix I bought from BluePanda on here as a backup and it's actually not bad for a budget membrane board (which admittedly the Tarantula was membrane as well and I loved that) but I think my next board will be a mechanical board with brown switches. From my research, they seem to have the most sensible but still noticeable feedback. If you don't know what switch style you like most, I know they sell little sample trays with each corresponding switch so you can demo them. I may pick one up one day, but this little budget board has more than satisfied me! Some really decent prices for keyboards on the Corsair Refurbished site (http://www.corsair.com/en-us/certified-refurb?c=keyboards - This 10% off coupon w/ free shipping might still work as well : 10REFURBDEC). Though if money is TRULY not an issue for you then picking up a brand new model wouldn't be a problem. I have not owned an RGB model of any keyboard so I can't really speak to the LED's but the Corsair K70 and G.Skill KM780 with Cherry MX Red switches (no tactile feedback, easy key press) both feel almost exactly the same. The KM780 has a column of Macro keys but is really pushing it with me with that 'gamer' look. The K70 (and strafe for that matter) have a much cleaner look but lack the extra macro keys. 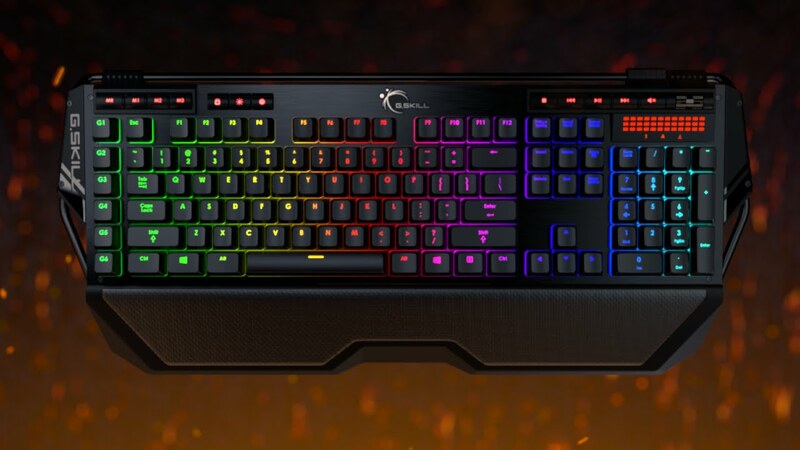 Then there is the G.Skill KM570 that was JUST released in either Red LED or RGB LED and goes after that 'basic' look of a keyboard. I believe the KM570 also works without any software and lets you program the lighting by directly using the keyboard... Which is cool for the fact you don't have another program starting up with your computer and if you ever wanted to plug it into a different machine it will remember your configuration. I'll be honest - the KM570 seems like a very interesting keyboard - There are some reviews out there already as well. Then of course there are the cheaper brands on amazon like havit, mechanical eagle, etc. that use Outemu switches which are Cherry clones and feel very similar. These are also decent mechanical keyboards and have been proven to last just as long as the name brand switches. I actually use the Havit HV-KB366L with Blue switches I picked up on sale from Amazon for $50 a few months back for work and LOVE typing on it. VERY sturdy construction. I'm digging the corsair lineup. I don't really see the difference between the stafe and k70 lines except the k70 has the audio volume wheel that I really like on the g510 i have now. K70 looks like a winner. Yea I love my k70. They are indeed extremely similar keyboards. Strafe is a little cheaper. 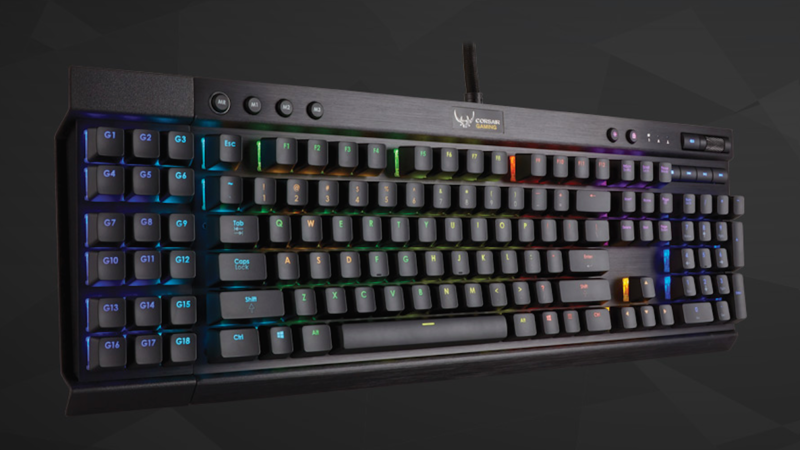 With the K70 any key can be set as a Macro key via CUE software,.. Corsair doesn't incorporate any customization or macro-recording controls directly into the hardware,.. all actions are set for each individual key with Corsair Utility Engine.